Over the summer, Middle Country teens read 8 young adult novels to compete against teams from Suffolk County libraries. Middle Country’s team – “The Real Book Thieves” – impressed everyone with their hard work and effort. Special thanks to our coaches, teens, parents, and all the volunteers who helped make this year’s Battle of the Books a success!. 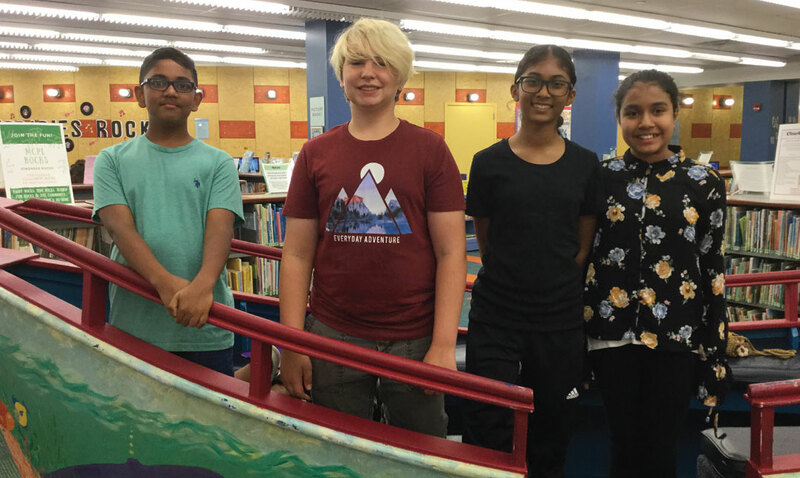 The 2018 Battle of the Books team (pictured l-r): Ibraj Alam, George Jones, Afi a Nasim, and Sara Saima. Not pictured: Sahaj Soni. « Previous News Thank You To Our Teens!